CARD SIZE: 2 1/4 in. x 3 1/2 in. 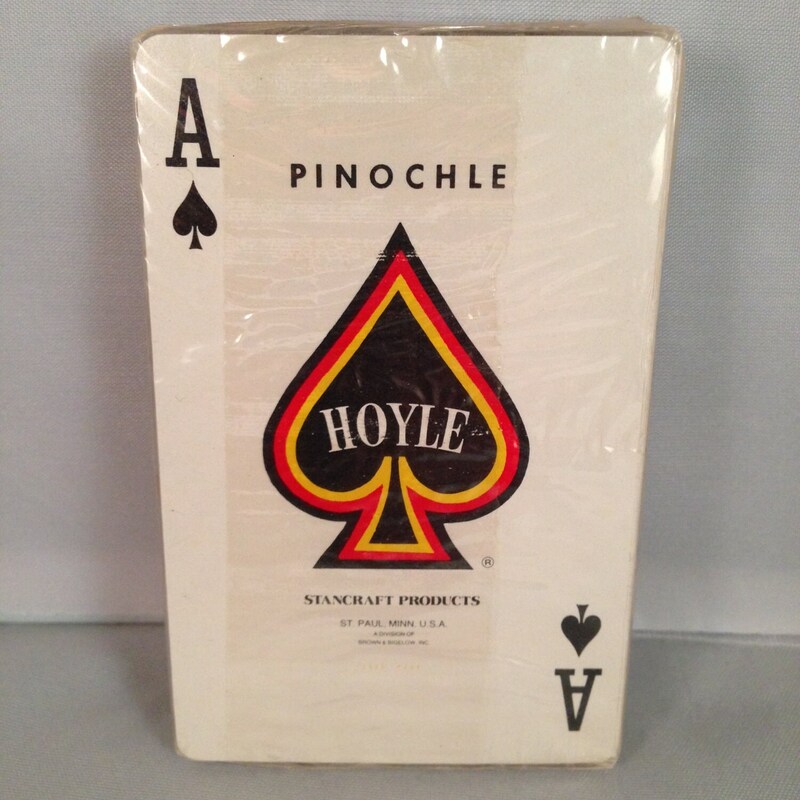 Here is a single deck of Pinochle Playing Cards; never used and sealed. 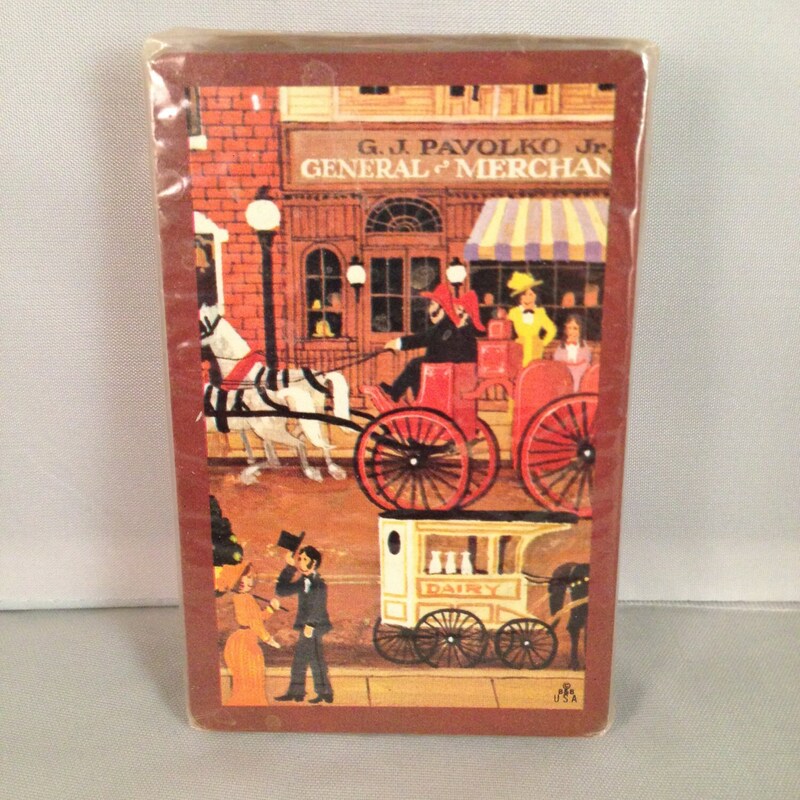 The card back features artwork of a general mercantile store like those of the old Western / Victorian / Horse and Buggy days. Condition: Very Good condition. Still sealed for your card playing enjoyment. Previously Owned. A must have for lovers of the old West!